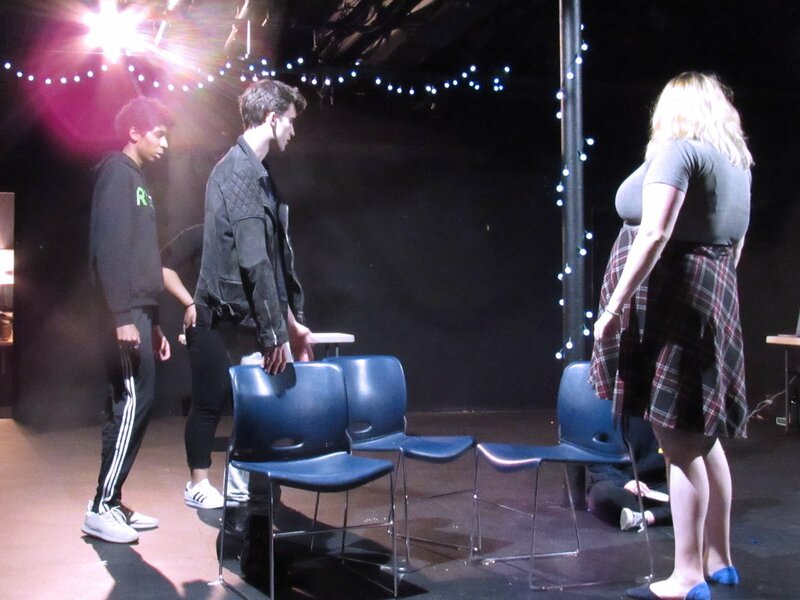 On April 8th at 7:00pm, an ensemble of 7 student theater-makers from Chicago-area colleges met for the first time and began the process of making a completely original play. 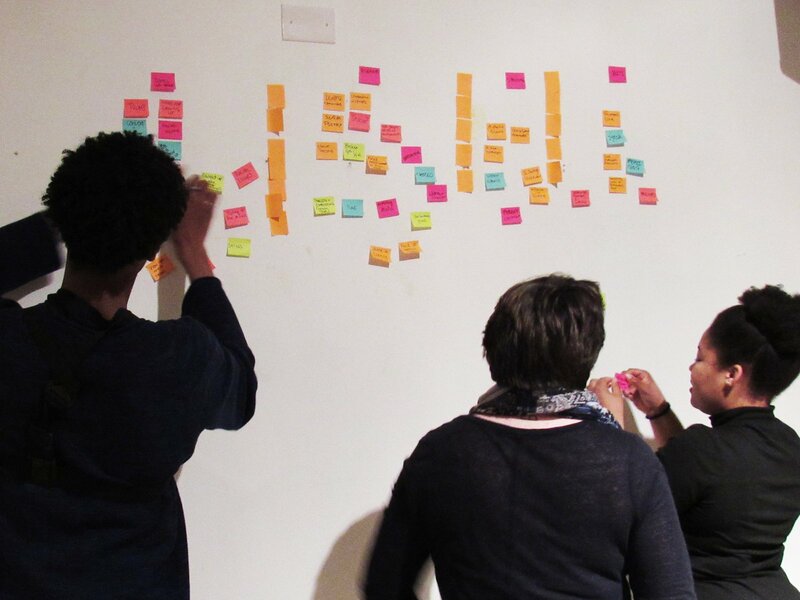 Along their journey, Chicago theater artists Samantha Beach, Darling Shear, and Catherine Miller stopped by to support the Ensemble in their creation process. 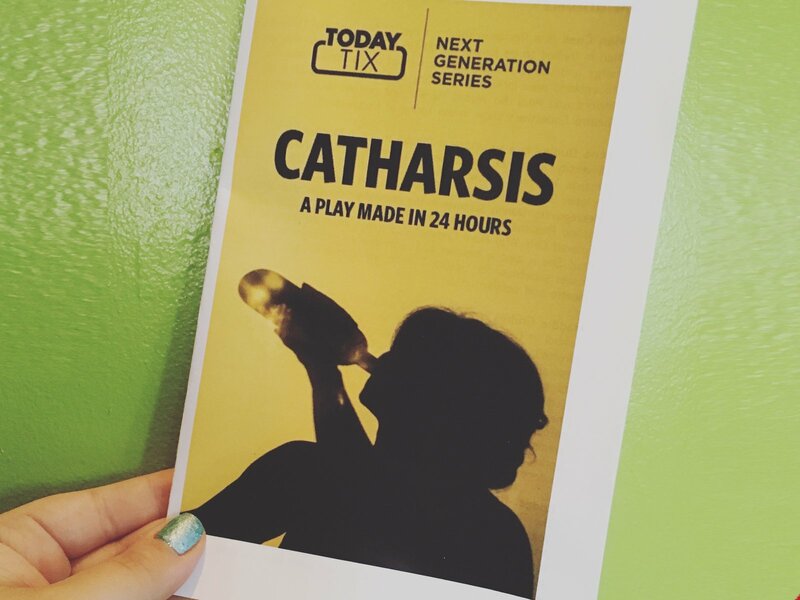 24 hours later, on April 8th at 7:00pm, the Ensemble presented the world premiere and final performance of CATHARSIS at Greenhouse Theater Center. Check out the photos below to snag a sneak peek into the process! 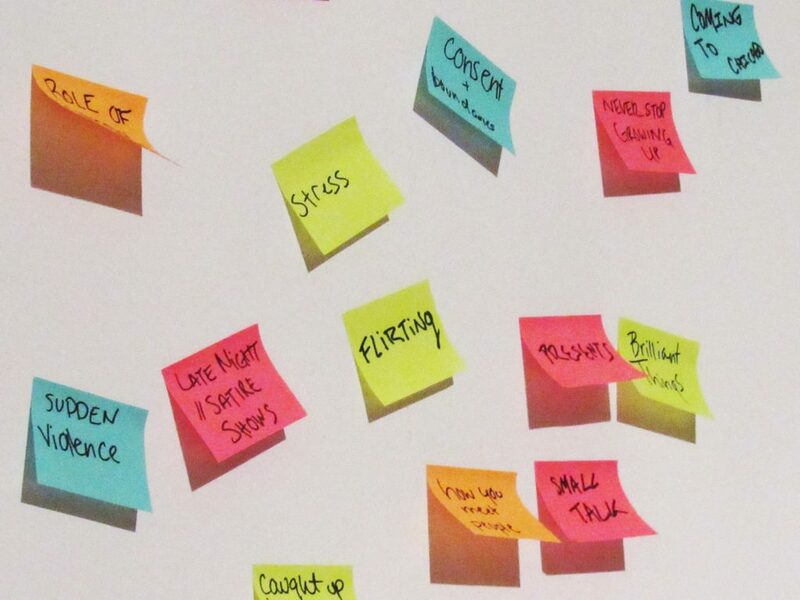 After getting to know each other over tacos, the Ensemble started by writing down ideas on post-its and grouping them thematically. 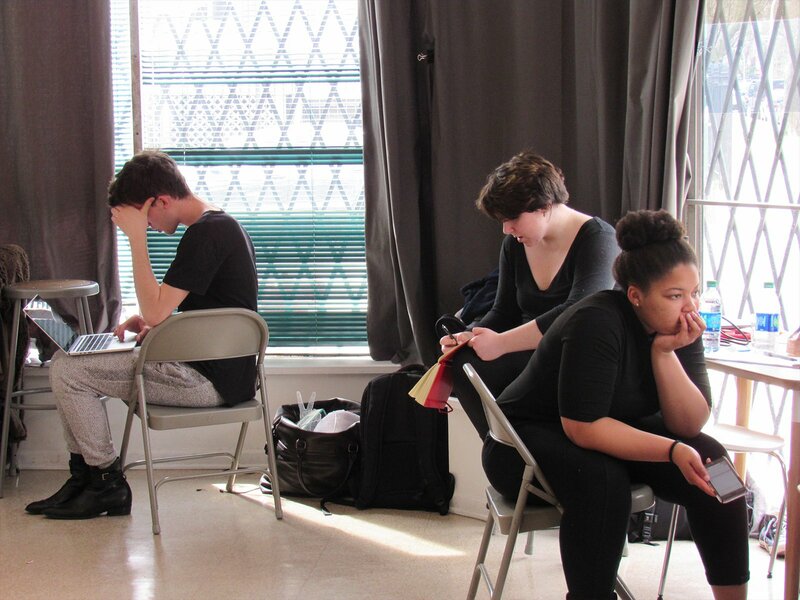 Lucas, Maddie, and Lena organize the Ensemble’s ideas. 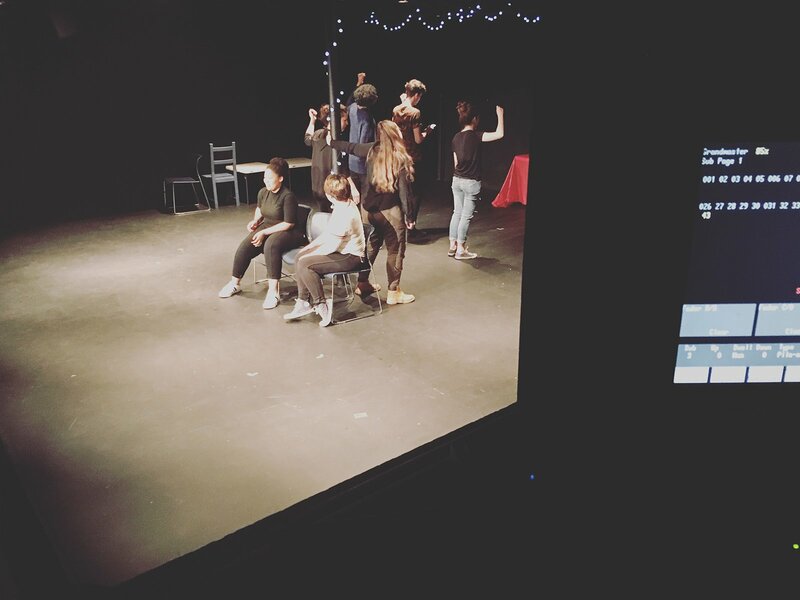 At 9:15pm Playwright Samantha Beach stopped by to check in on the Ensemble’s progress. 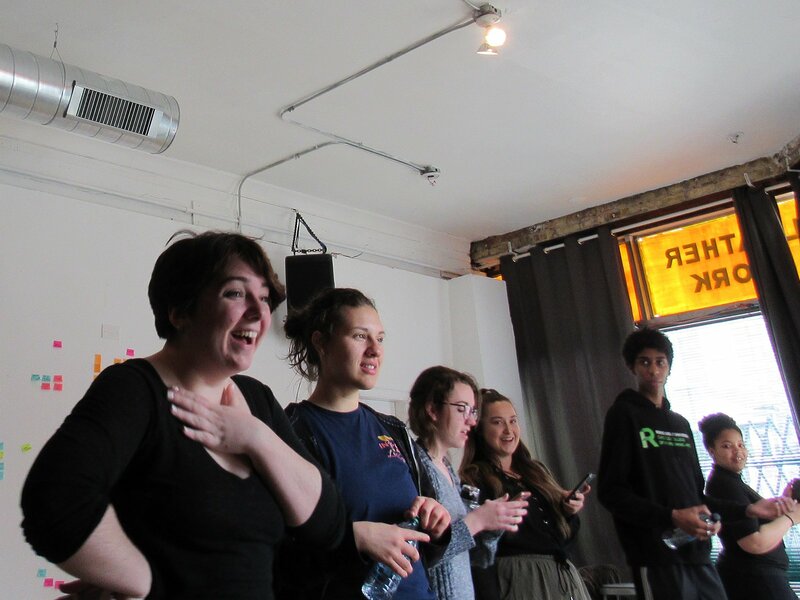 Samantha Beach helps the Ensemble with their character development. 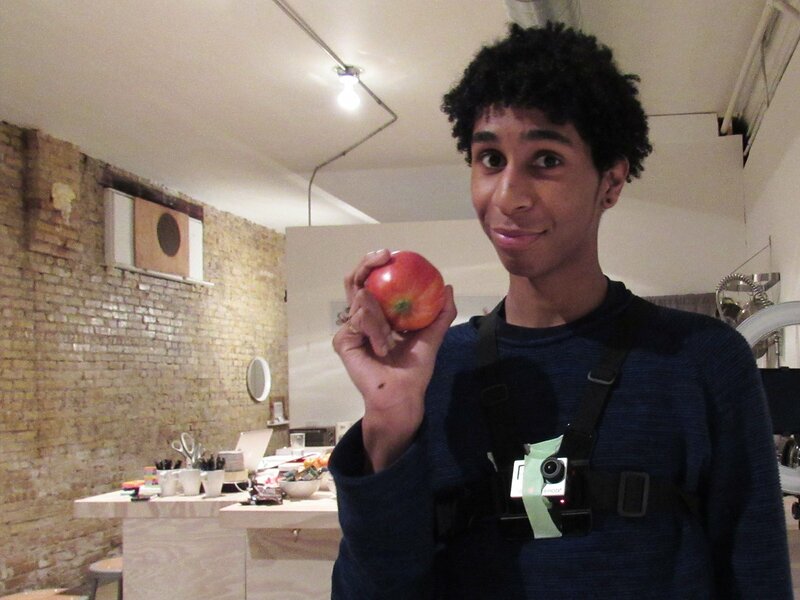 An apple. A Lucas. A GoPro. 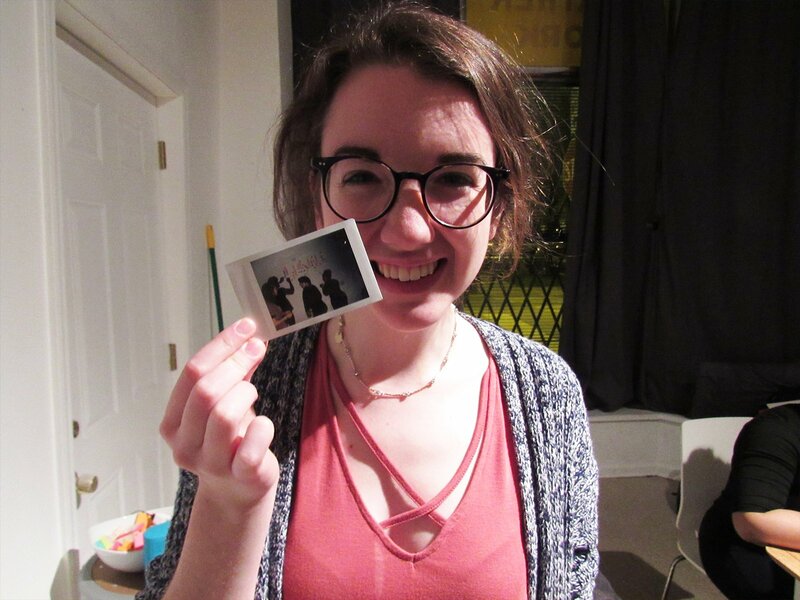 Casey shows off her Polaroid photography skills. Good morning! Darling Shear leads the Ensemble in a group warmup and re-focus at 10am. 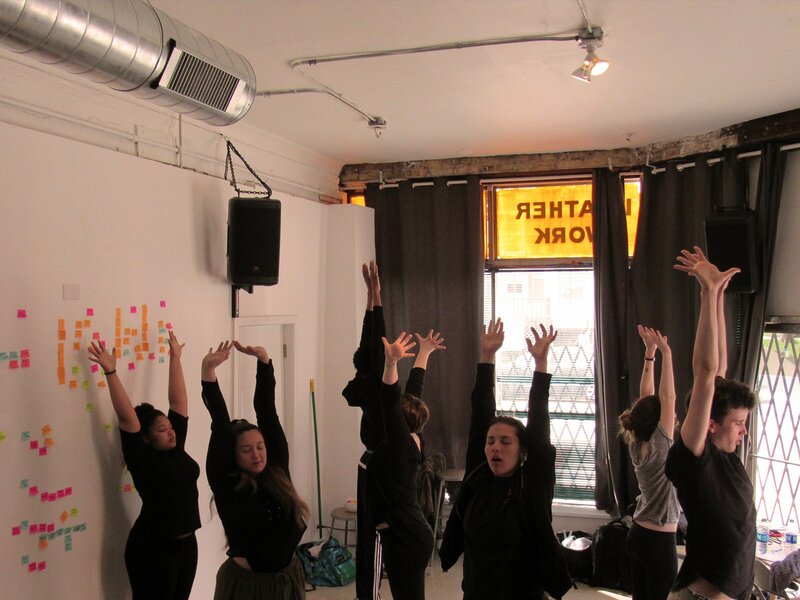 Darling Shear helps the Ensemble incorporate movement into their piece. 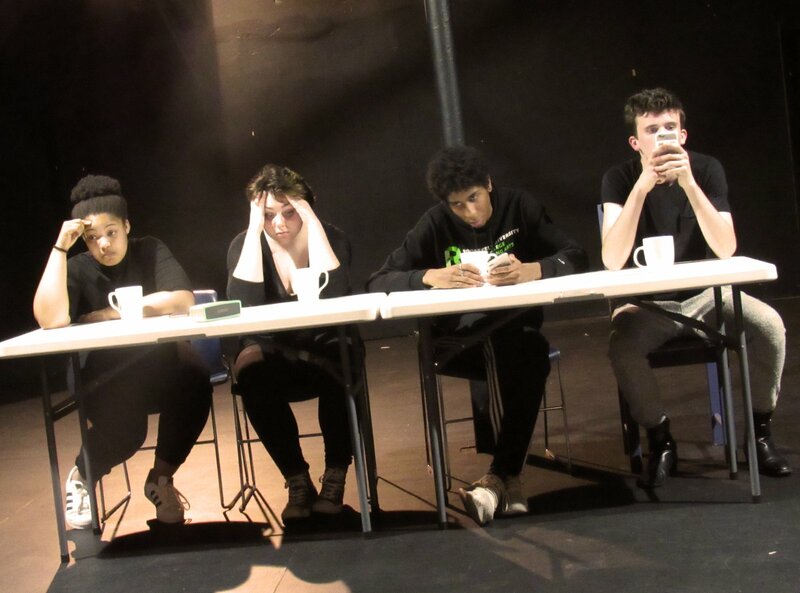 Morning reflections as the Ensemble prepares to pack up and head to Greenhouse Theater Center! Darling Shear helps the Ensemble focus up. It’s moving time! Darling Shear looks on as the Ensemble poses for a sleepy outdoor portrait. 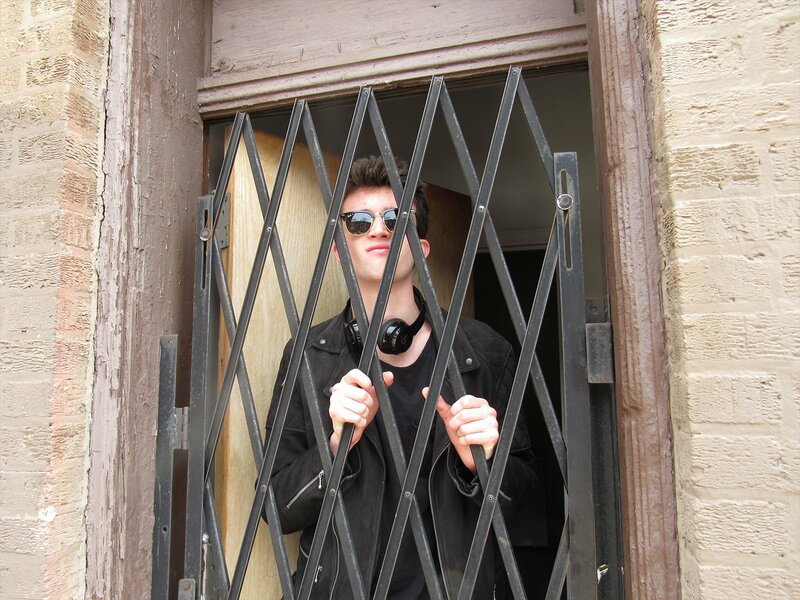 Don’t worry, Brian’s not in Jail, he’s just locking up our rehearsal space. 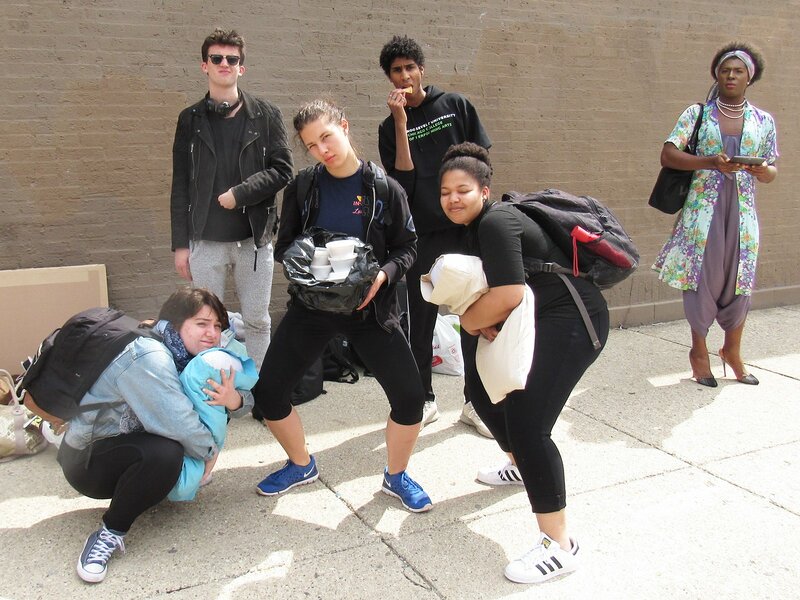 Bye Logan Square and Lincoln Park here we come! The Ensemble begins putting the play on its feet in the theater. From left to right Lena Dudley, Maddie Grubbs, Lucas Johnson, & Brian Cook. 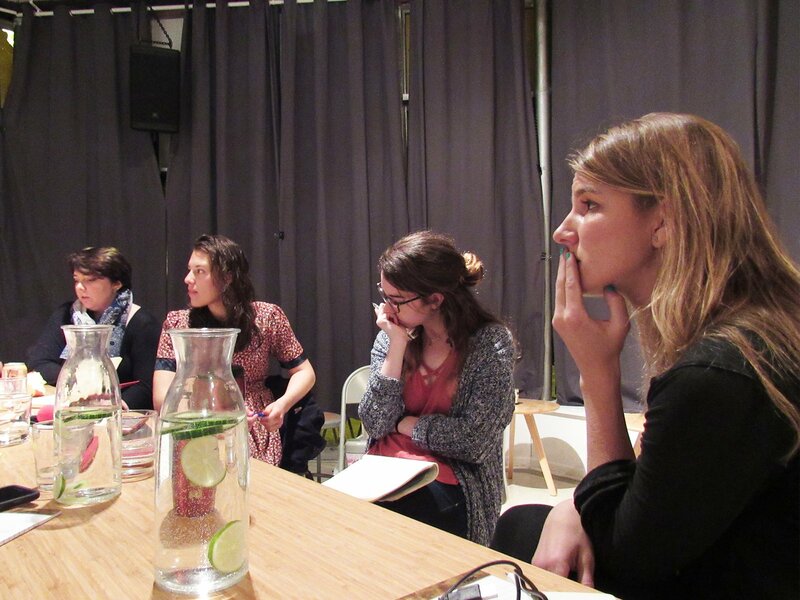 Catherine Miller stopped by to see a run and provide dramaturgical and directorial advice. 2 hours until curtain! Final run before curtain! 1 hour to go. The programs are here, the audience is here, it’s time to rock and roll. 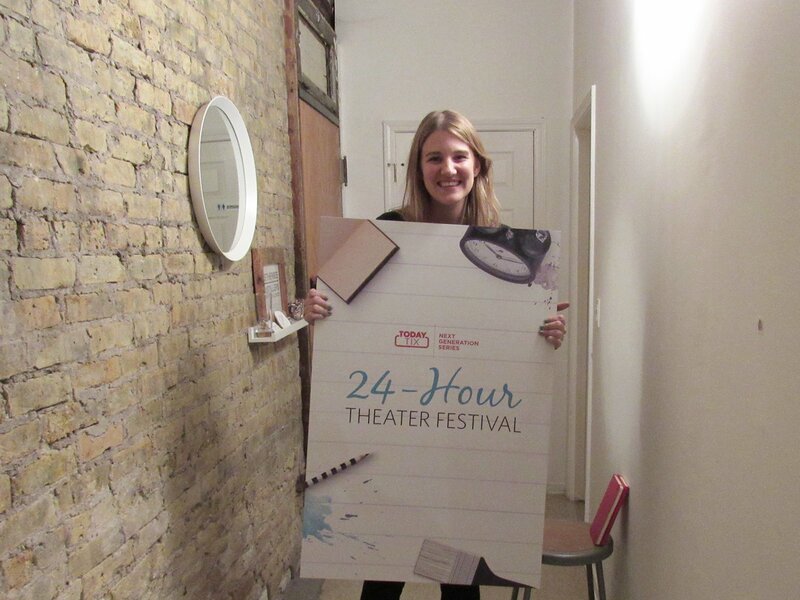 Want to know more about the Next Generation Series 24-Hour Theater Festival? Tap here to read about the Ensemble.